Sometimes we just need to disappear for a little while to catch up with parts of ourselves that we have forgotten or lost along the way. Thankfully in this day and age, you don't need magic to disappear; all you need is a destination and a cheap RyanAir flight to get you there. If you've been following my journey over on my Instagram feed and Instagram stories, then I guess you already know that my month has been thus far filled with excitement and travelling to both new and old destinations. Cologne, (or Koln, whichever you so wish to use) is a place that I will always hold near to my heart. I first visited the city last year with Eoin, and during our trip to Germany this year, we decided that a return visit was definitely on the cards. Cologne is the fourth biggest city in Germany, following Berlin, Hamburg and Munich. 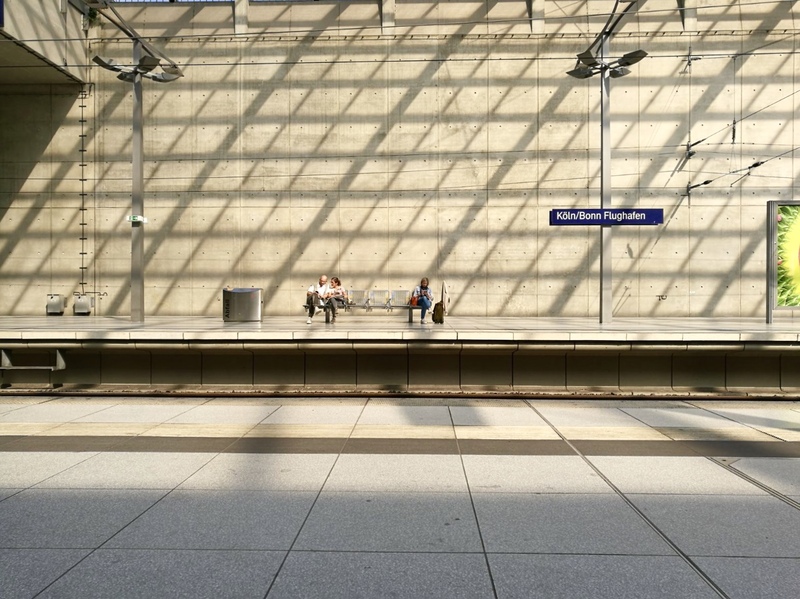 The city is an urban gem, filled with culture and located by the river Rhine. 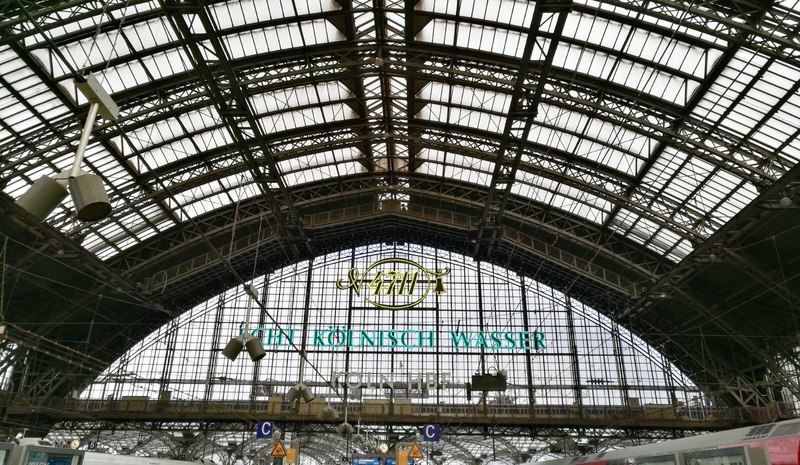 So from getting there, to what you're going to do while you are there, here's my complete guide on making the most of your stay in Cologne. As I mentioned above, once you've found a destination, all you need is a cheap RyanAir flight to get you there, and thankfully we found just that! I booked my flights back in November, and they came to €50 return, so €25 each way, which is so reasonable considering the fact that if I was to get the bus home from college on the weekends it would cost me €15 one way! 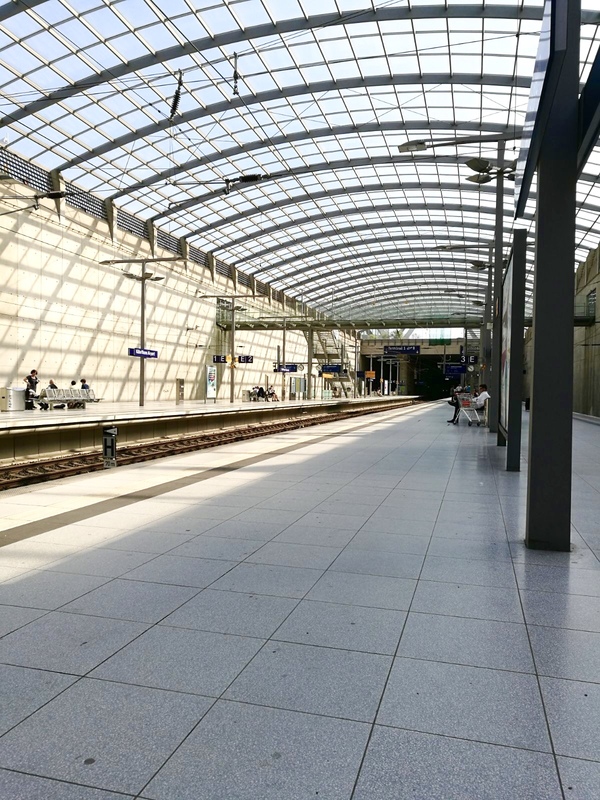 Our flight flew into the Cologne Bonn Airport, which was so useful as the train stops inside the airport on the regular, so there's no need to worry about how you're going to get from A to B once you reach the airport. 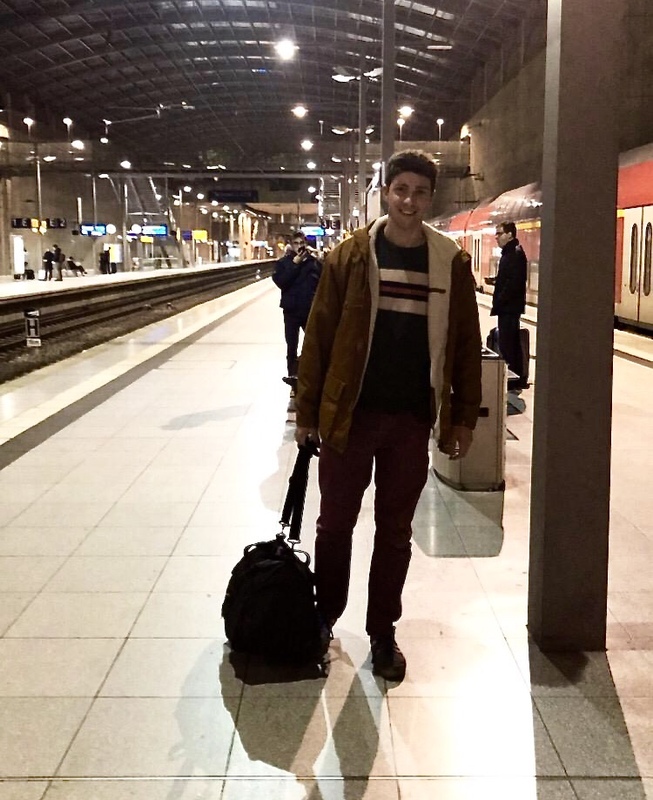 While I wish that I could help you all out with the accommodation side of staying in Cologne, this wasn't any great issue for me as we were fortunate enough to stay in Eoin's grandmothers house in Eitorf, thirty minutes from Cologne via train during our stay in Germany. This really cut down on expenses for us, however if you're looking for a cheap stay for the duration of your visit, I'd definitely recommend checking out a few AirBnBs to get the full residential experience! In my opinion, three or four days is plenty of time to check out all the city has to offer. If you're planning on doing a lot of train travel during your stay, I'd definitely recommend getting a travel pass to cut down on expenses. However, if you're staying close to the city, this really isn't necessary because most of the top spots are in walking distance from the centre. 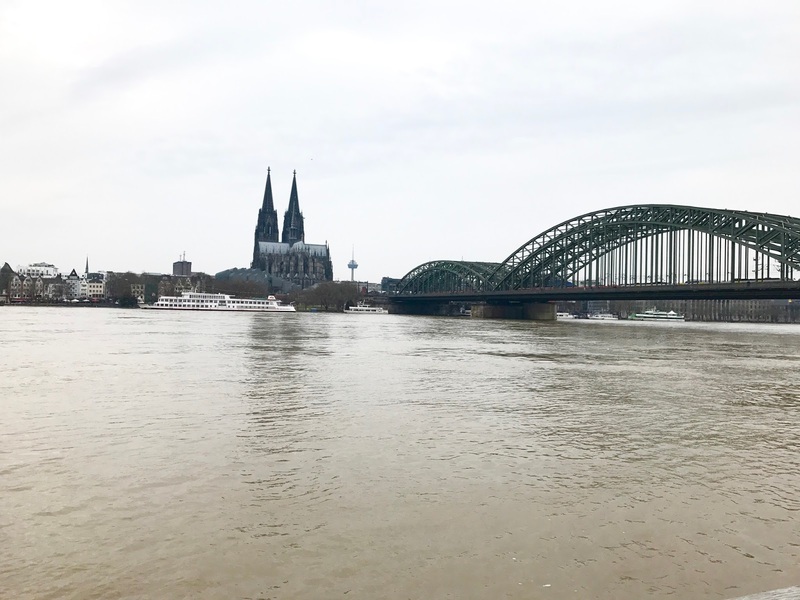 There is so much to do and see in Cologne, from walking along the Rhine to doing a lil' bit of shopping, the city seems to have something for everyone. Thankfully I've managed to narrow down my list of things to do to the ones that you would absolutely love. 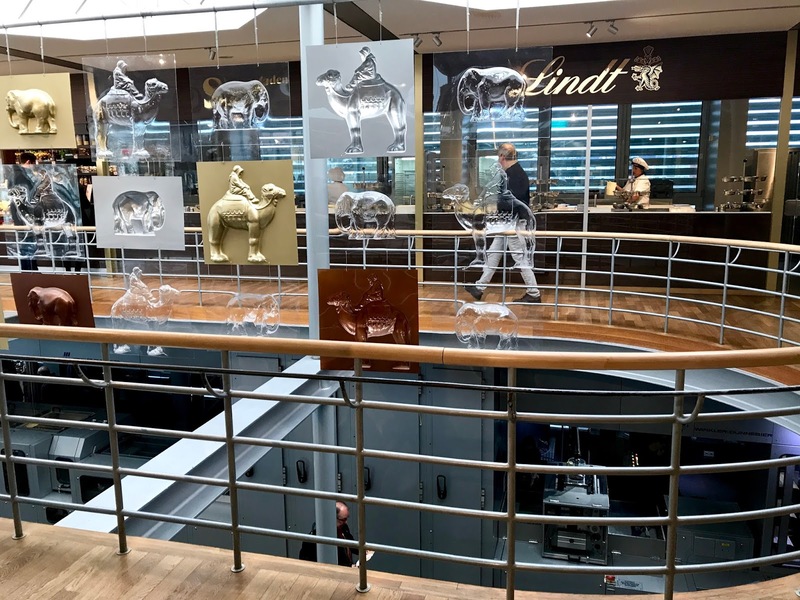 Colognes' Lindt chocolate museum is probably one of the coolest museums I've been in to date. This is a must for any chocolate lover. With it's own tropical garden, lots of interactive information and of course seeing the chocolate being made in real life, this museum is like a dream! And of course with loads of chocolates along the way, I couldn't think of a better tourist attraction than this! We arrived at the museum at about eleven, and it wasn't too busy. I would definitely recommend going early, before the crowds build up. For students, entrance is only €9, which definitely seems quite cheap for the overall experience. By the entrance of the museum there is the most beautiful chocolate café overlooking the river Rhine. We decided to pop in for a hot chocolate before braving the cold again, and it was definitely an experience worth recommending, with friendly staff and an overall chill environment. The Ludwig Museum is home to pieces of some of the world's greatest artists. Housing nearly all genres, there's something for everyone here. From pop-art to surrealism and everything in between, taking a trip to the museum is a must for any art lover. The main exhibition space changes about every four months. 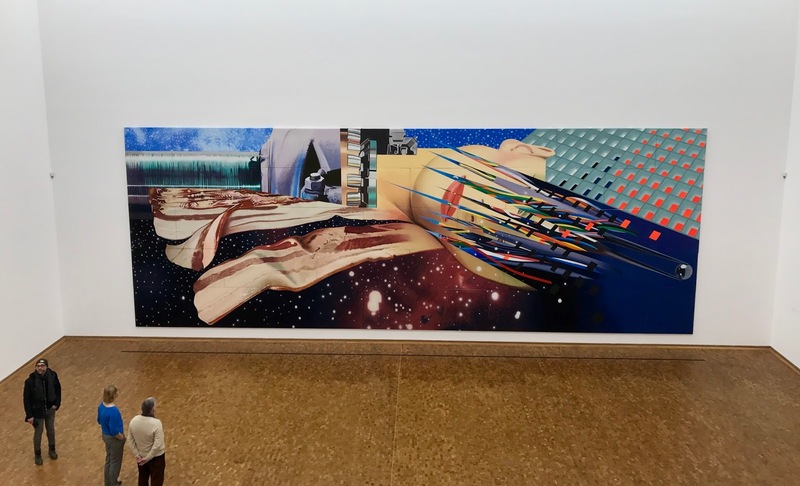 During our visit, the James Rosenquist exhibition was in place. If you're aiming to visit the museum before the exhibition changes in March, I'd definitely recommend checking it out! More famously known as Cologne's love lock bridge, Hohenzollern bridge crosses the river Rhine and is almost completely covered with "love locks." 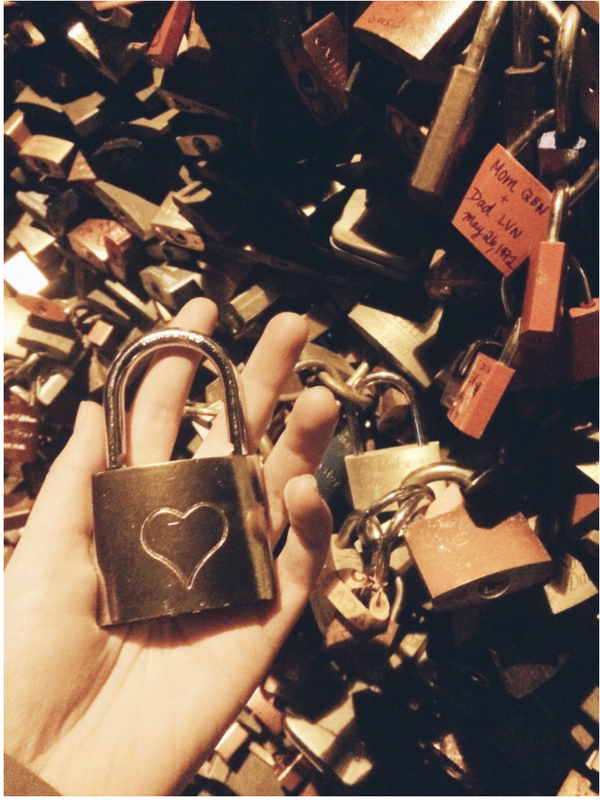 To walk along the bridge is definitely a must, even if you're not planning on locking something on yourself! It's just really lovely to see so many happy couples and friends leaving behind their mark. Plus, the views on each end of the bridge are amazing. 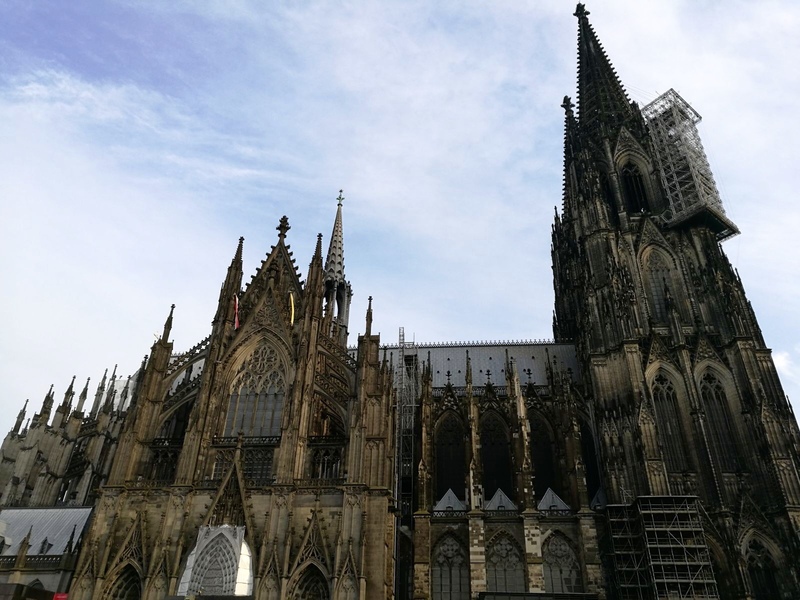 The Cologne Cathedral ranks in first place on TripAdvisor's list of things to do, and with good reason. The gothic cathedral took 500 years to build, and was completed in 1880. The building is huge, and you can see it from nearly all parts of the city! Going inside the cathedral is free, but you can leave a small donation if you like. There's absolutely no pressure to donate though, so if you don't think you can, then there is no need to worry about it! If you're following me on Instagram (@sadhbhers), then you've probably seen some of the best bits from my trip to the zoo! We spent the morning at the zoo, and it was so worth it. The zoo is home to Northern Europe's largest elephant park, and has such a great variety of animals to see. 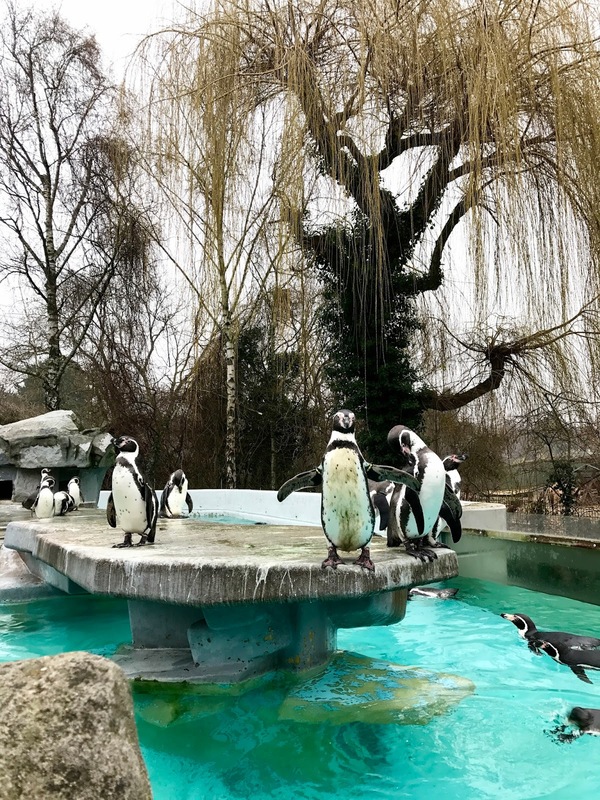 The feeding times of each animal are posted around the zoo, so you can catch all your favourites in action if you so wish! 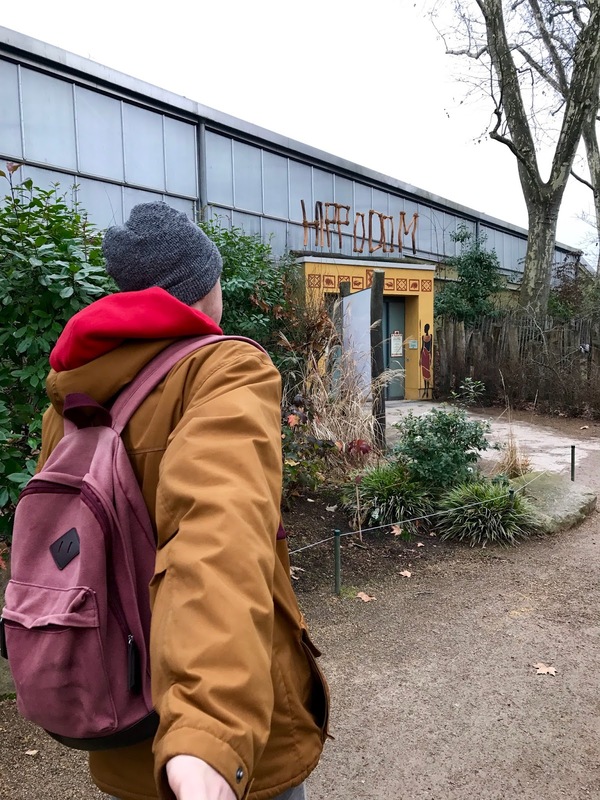 There's also an aquarium at the zoo, but we decided to give that a miss, just so we could squeeze a little more into our day elsewhere! 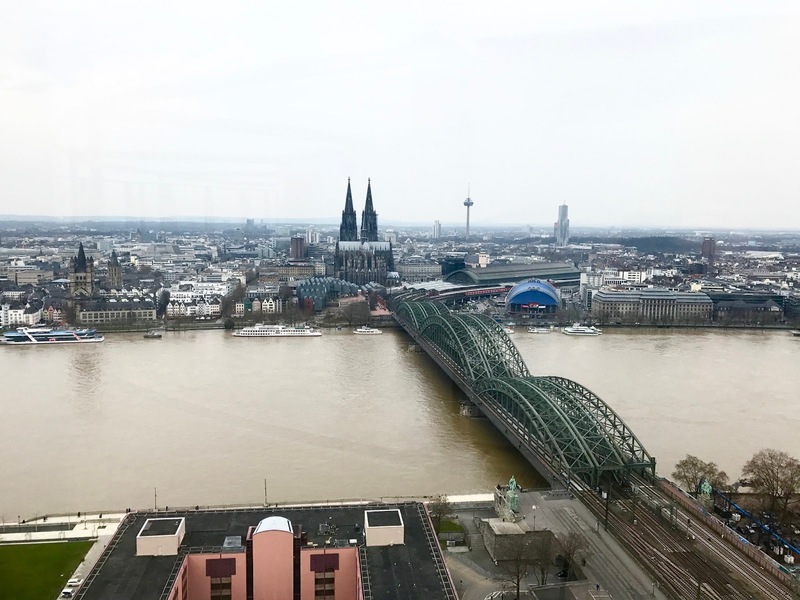 If you're looking for the best views of Cologne, a visit to the Köln Triangle is a must. From the top of the skyscraper, there's a 360° view of the city, with all it's most famous landmarks marked clearly on the glass surrounding the top level. Entrance to the building itself is free, but to get to the top of the skyscraper it costs €3, which is reasonably cheap. The building isn't that far from Hohenzollern Bridge, so once you start walking along the bridge away from the city centre, it won't be long until you stumble across the skyscraper. 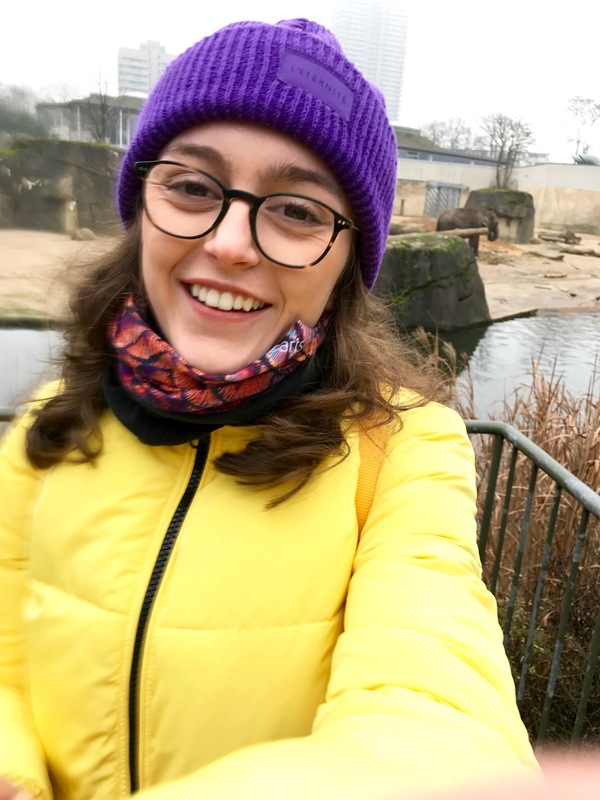 While I've only covered a few of my favourite things to do in Cologne, the city has so much more to offer if you just explore the streets and let yourself wander for a little while! The city is engulfed by culture and history, coexisting with the beautiful modern day Germany, and is definitely one for the travel bucket list!